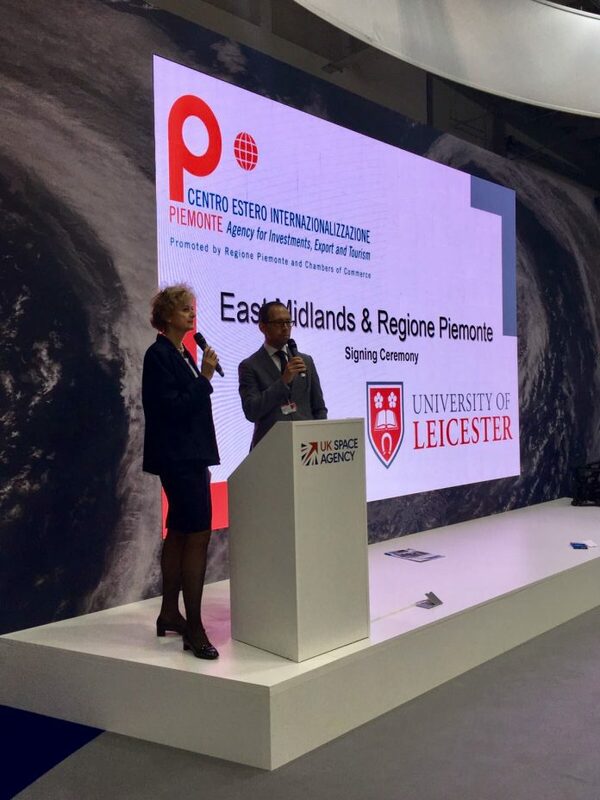 University of Leicester, together with the Leicester & Leicestershire Enterprise Partnership (LLEP) and the National Space Centre signed a Memorandum of Understanding (MoU) to formally mark the start of the collaborative links with the Centro Estero per l’Internazionalizzazione s.c.p.a. Piemonte representing the Piemonte region in Italy. The Signing Ceremony took place at the Farnborough Airshow, which sees aerospace attendees from over 100 countries network, collaborate and discuss the future of the UK space industry. Jake Berry MP, Minister for the Northern Powerhouse and Local Growth, said: “We are committed to boosting economic growth across the whole of the Midlands Engine, building a country which works for everyone.